The majority of our tenants are happy to rent their homes from us for many years, safe in the knowledge their rent is low and all maintenance and repair issues are taken care of. However, some of our tenants choose to take advantage of their right to buy or acquire the home they live in, benefiting from generous discounts. 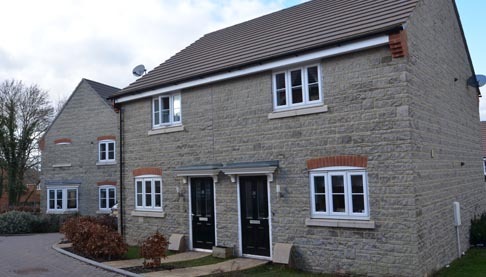 If you were a secure tenant of the Forest of Dean District Council and you’ve continued to rent your home from Two Rivers Housing, you may have earned the preserved right to buy that property at 70% of market value, up to a maximum of £82,800 (from 6 April 2019). However, you will not be entitled to this if your home is earmarked as housing for older people. If you became a tenant of Two Rivers Housing after April 2003 and were not a secure tenant of the council prior to this date, you may have the right to acquire your home. To qualify, you must have spent a minimum of five years as the tenant of a local council or a housing association, or have lived in a home provided by the armed services. However, you will not be entitled to this if your home is earmarked as housing for elderly people, or if the law prevents it. Please note, once your application has been received to either buy or acquire your home, we will only carry out immediate health and safety repairs to your property. If you would like to know more about either the Right to Buy or the Right to Acquire, please read the Right to Buy or the Right to Acquire leaflet saved in the ‘Library’, email our Home Ownership Team or contact us by phone, letter or calling in to our office.